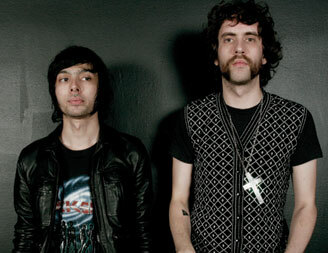 This just in, the MySpace Music Tour featuring Justice and Chromeo has been moved from the cavernous Madison Square Garden to the much smaller WaMu Theatre at MSG. I guess it was a little optmistic on the part of the Bowery and MySpace to think that an electronic duo other than maybe Daft Punk could sell out MSG. All Justice tour dates after the jump. * Patrons who purchased tickets with a credit card will have their new ticket mailed to them. If you purchased tickets through an outlet with cash your tickets will be exchanged at the door the night of the show.